Definitiv has been designed to help you have greater oversight over your labour costs and liabilities. With dynamic forms, detailed costing, and flexible provisions and accruals, Definitiv’s time and attendance works around your business. Eliminate double entry of data, increase costing accuracy and have greater flexibility over approvals with Definitiv’s timesheets. Customise automated timesheet approval rules to meet your organisation’s processes. Define events and jobs where multiple approvers. 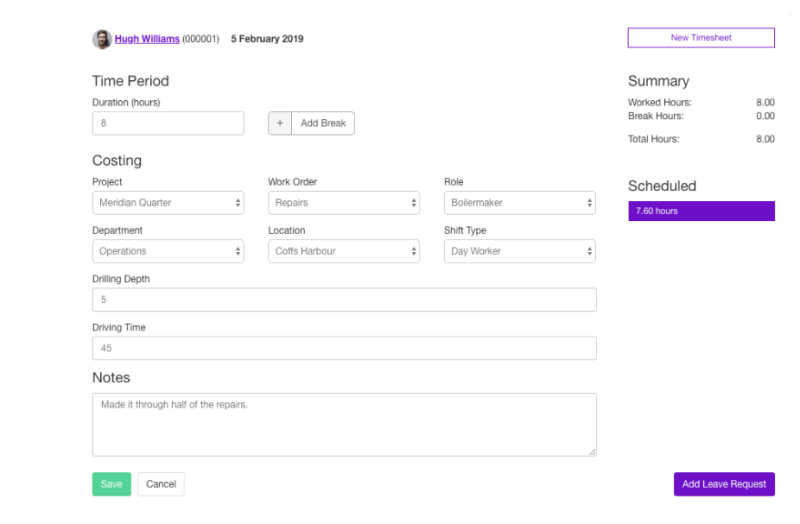 Customised to an individual’s assigned projects, roles and other conditions, timesheets will adjust and pre-populate as a person is completing it. Add as many additional fields to the timesheet as required. Start reporting on any new additional field as soon as it has been added. 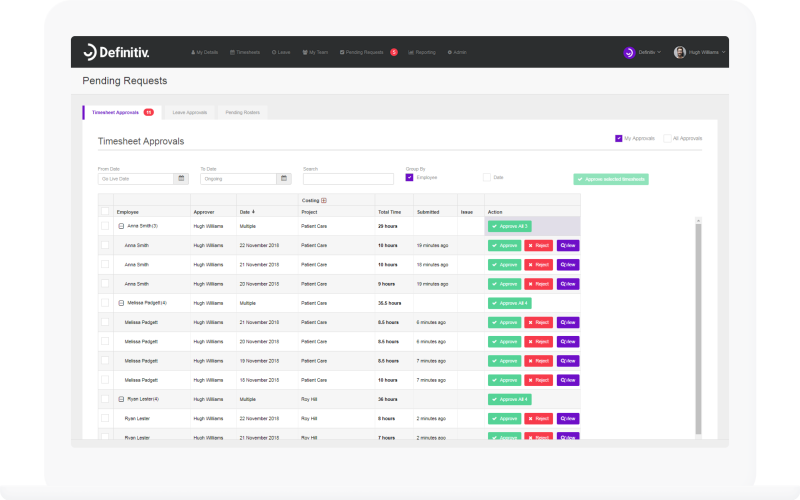 Have total control and transparency over your company’s leave management. With the capability and capacity to manage various accrual types, your people have total visibility over all their entitlements. In Definitiv, the management of leave can be customised to your HR policies, awards and registered agreements. For example, you can specify whether an application for a specific leave type requires attachments, whether new or old leave entitlements are utilised first, and if cashing out is allowed. To help your employees make better informed decisions when applying for leave, Definitiv gives them access to their entire leave history, leave balances and all upcoming leave requests. Definitiv also keeps them updated with a live status on application progress. Eliminating the need for payroll officers to get involved, Definitiv shows employees their current entitlements and future projections down to a specific date for all leave and accrual types visible to them. 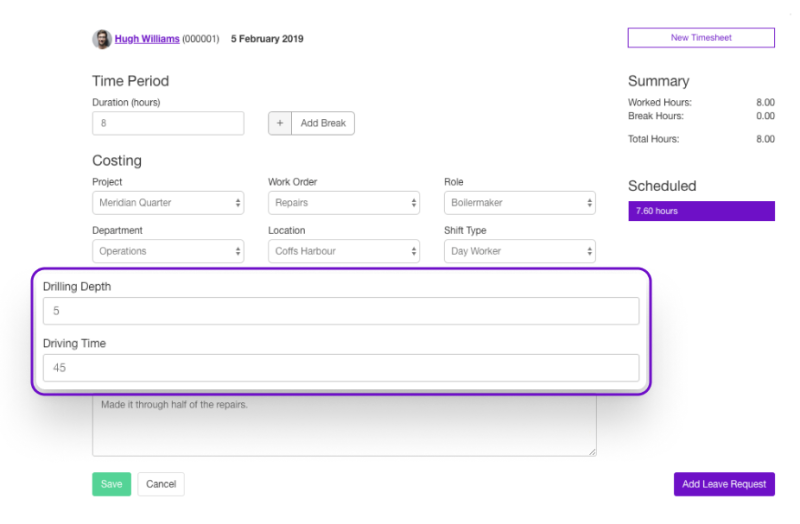 Preventing your operations from being under resourced, Managers get full access to their team’s upcoming leave information when reviewing leave requests. 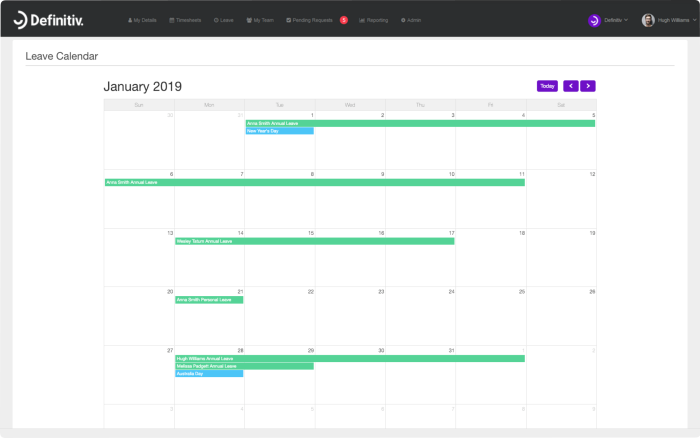 Making it simple, a Manager can quickly check to see if any other team members are booked off during the same period without having to move away from the employee’s application. Definitiv is all about driving positive change in company culture. 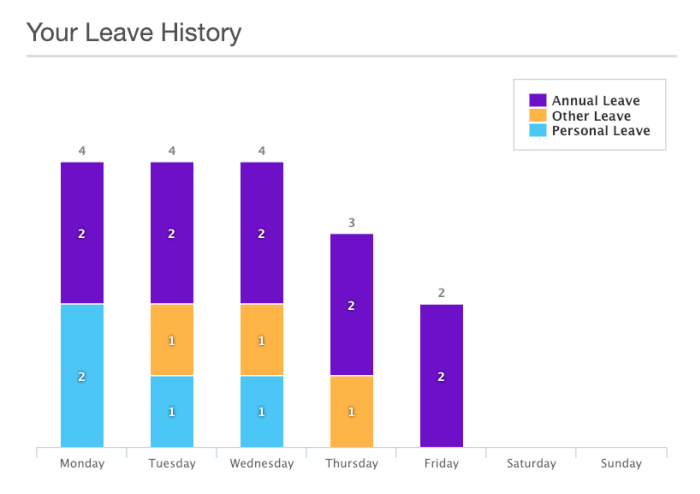 Our Leave History Chart aggregates a person’s leave by days of the week, allowing employees and their managers to identify potential trends that may need to be addressed.